Carmel Hurdle, author of Husbandry for the Single Woman, was interviewed by Midweek's Paul Brooks on her writing process and delight at launching her debut chick-lit novel. Mike Ponder, author of Four Kings, launched on 11 December 2012 at the Rona Gallery, Eastbourne, Wellington, was featured on the cover of Wanganui Midweek on Wednesday 21 November. Graham Beattie, who writes Beattie's Book Blog, "the unofficial homepage of the New Zealand book community" featured Tangerine Publications on Sunday 4 November. Click here to read more. P S Mokha makes the front cover of the Midweek in his home town of Whanganui after his 200-strong book launch on Friday 29 June 2012. Thanks to the Sarjeant Gallery, Whanganui and Pack 'n Save for supporting the launch of The Last Sanctuary. Click here to read more. 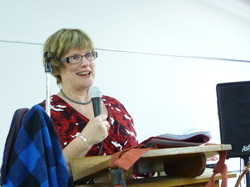 Congratulations to Stella McCallum who, with Tangerine Publications, launched Little Life Savers at Home on 6 March 2013 in New Plymouth. 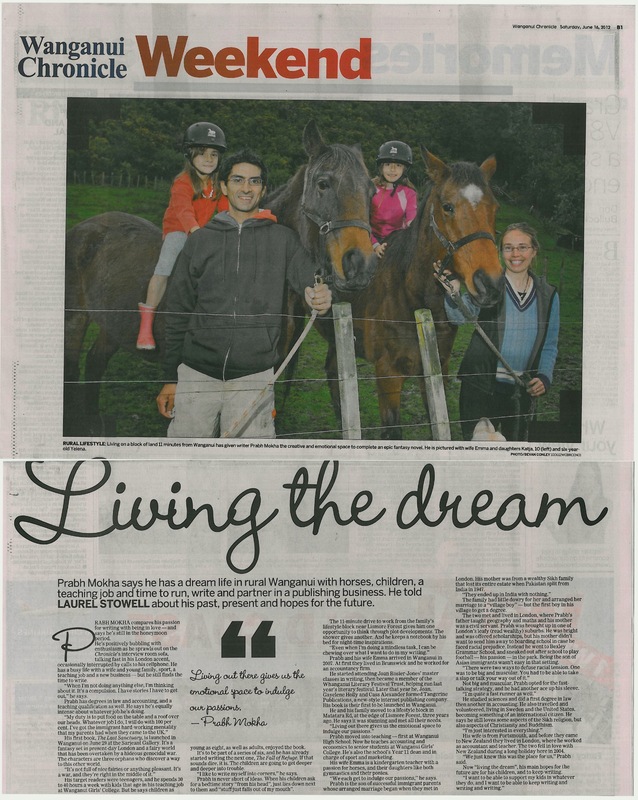 Tangerine Publications' director and author of The Last Sanctuary, Prabh Mokha, features in the Wanganui Chronicle, Saturday 16 June 2012. Prabh talks to Laurel Stowell about his writing, family and what it was like growing up. Click here to read the whole article. The Tangerine team are featured in the Wanganui Chronicle, Monday 28 May 2012. Click here to read the full article.